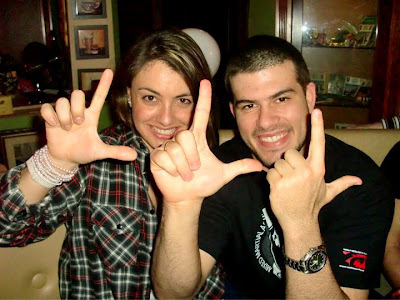 Marcelo Spreads Luta Livre Further! During the previous weeks Marcelo has been sharing his love for Luta Livre with people from many different countries throughout europe, he has experienced so many different cultures and befriended some great people along his expedition, nothing of this magnitude has ever occured in the history of Luta Livre and i'm sure this will go down in history and those who tell the story of Luta Livre in the future will mention Marcelo Brigadeiro just like the tell stories of Euclydes Hatem or as most people associated with Luta Livre will know him as Tatu. 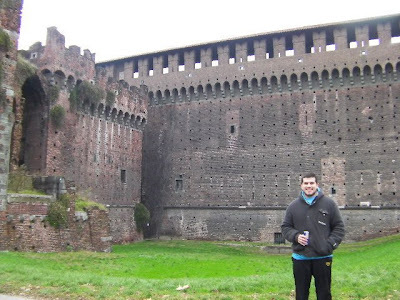 Marcelo Travelling through europe to countries such as Italy,Slovakia,Holland,Greece and many more. 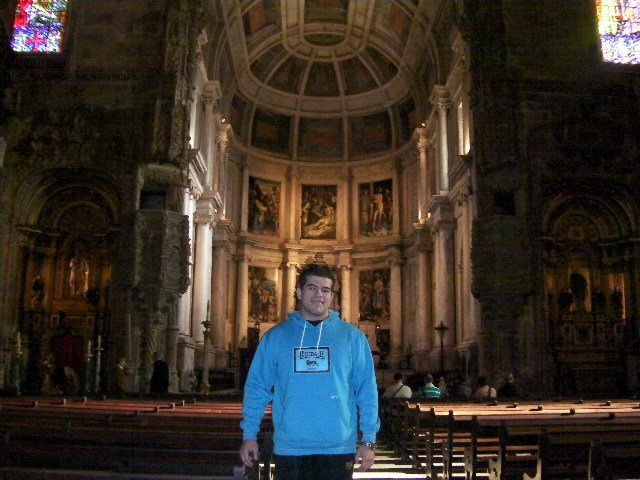 As Jesus once did spread the word of God okay without the miracles of course, but this is some feat Marcelo spreading his beliefs of Luta Livre to those who acknowledge it. As he has being doing throughout the year in England teaching Luta Livre techniques to his Team. Team Kaobon improving there overall ground game, and other guys up and down the country. 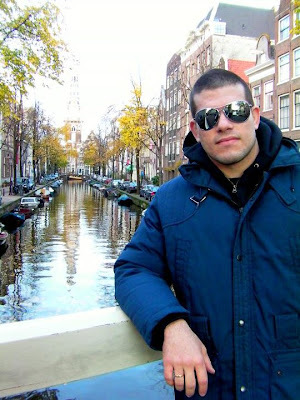 He followed this on in europe with submission defence, attacks, takedowns and the history of Luta Livre, Some countries being more clued up when it comes to the history and some being bewildered on what Luta Livre was until Marcelo arrived. Now Marcelo will return home to his beloved Brazil and RFT gym after a long year of spreading the word of Luta Livre. Recovering for another year of growth of the sport which grew within him many years ago. 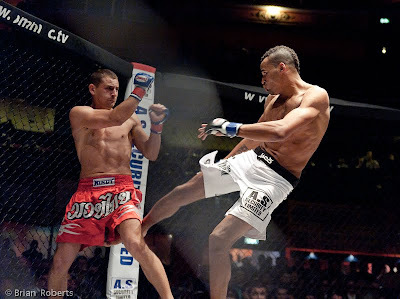 During the months of November/December a lot of MMA action has occured including some great luta livre from Kaobon fighters from the likes of Paul Sass against Mark Holst with another impressive triangle finish on his debut in the UFC. You could see the nerves as he pulled guard several times however, this was to work to his advantage due to Holst being a good striker. Sass finishing within the first round and with this a submission of the night bonus. 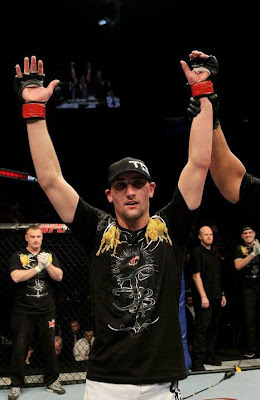 Another fighter who has been improving in Luta Livre was Paul Kelly with a great stoppage due to ground and pound after he got a crucifix on the taller opponent T.J Obrien who has a really outstanding record especially from the mat submitting 15 of his 16 opponents who he has beaten 11 by triangle, a real accomplishment by Kelly showing how good he really is after his loss to Jacob Volkmann. Team Kaobons Mark Scanlon made his UFC debut but it didn't go the way he wanted it to losing by decision however, he can take heart from his performance with some outstanding strikes landing perfect on the tough Germans chin not losing his cool despite Krauss still standing he managed to take Krauss down despite his great wrestling background. 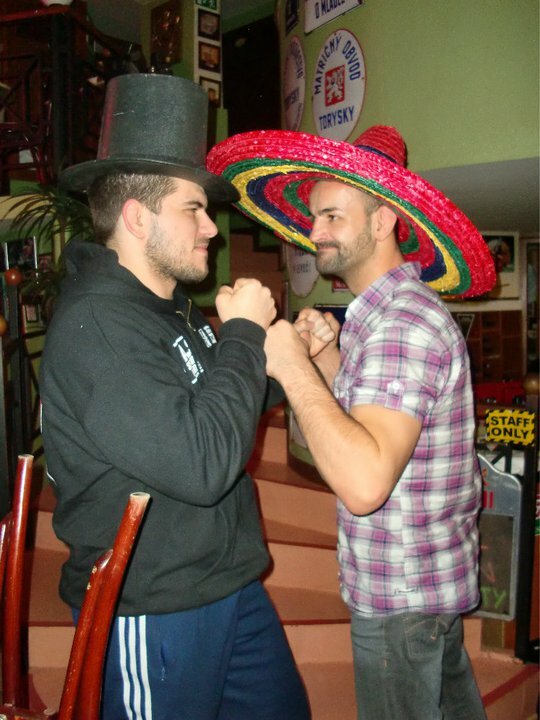 This fight would turn out to be fight of the night as both fighters put on a great show. Also Paul Taylor lost against Sam Stout a close fought fight either fighter could of walked away with the victory but it was Stout who took the big W and improved his record. Another Two Kaobon fighters were in action on the OMMAC both showing there dominance in there divisions at Featherweight & Lightweight. Uche Ihiekwe improved his professional record to 3-0 with a finish to remember with some vicious g+p in the first against a good opponent who has a wrestling background taking his opponent down and exploding with vicious elbows from the top. 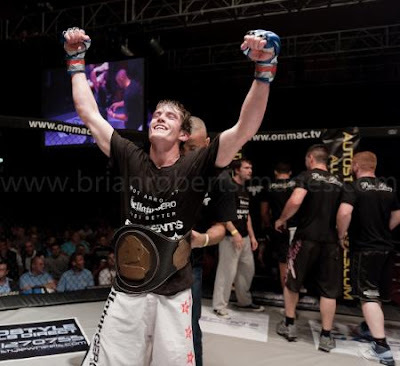 Greg Severs another unbeaten professional from Team Kaobon defeated his opponent with some ground and pound late in the second round improving his record to 2-0. Today was the last tournament to be held at Kaobon this year already having done two KOTM events the third was sure to be even better. As Marcelo is set to return to Brazil after his world tour for winter he would of been happy with the outcome of the event alot of gold medals being placed around Kaobon Luta Livre fighters. The event was quieter than previous competitions however, the talent on show was much improved and it was evident in the rolls from flying armbars to a crazy amount of heel hooks which emphasised how well Marcelo teaches his students as Luta Livre is known for its foot locks. Thanks to everybody who competed keep training hard and see you at the next competition. 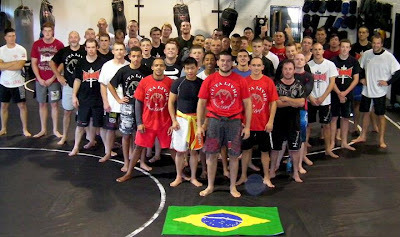 Today was another day for Luta Livre to expand its family as Marcelo Brigadeiro hosted another grading at Team Kaobon, before leaving on his tour of the world and returning home to Brazil. Another historic day was made adding to the rise of Luta Livre which has always been in the shadows of Brazilian Ju Jitsu however, it is becoming more and more popular amongst martial artists and Brazilian Ju Jitsu players have a lot more respect for the martial art these days. The grading consisted of rolls using just technique and then Marcelo talked about the history of Luta Livre and Marcelo's story of how his life has been affected by Luta Livre. A lot of different ability was graded ranging from white belts all the way to the highest at purple. Grading was scored on ability, attitude and commitment and knowledge. Marcelo said he was proud of everybody involved and wanted to keep spreading the word of Luta Livre, stating everybody who is graded has a role to play in spreading the word. 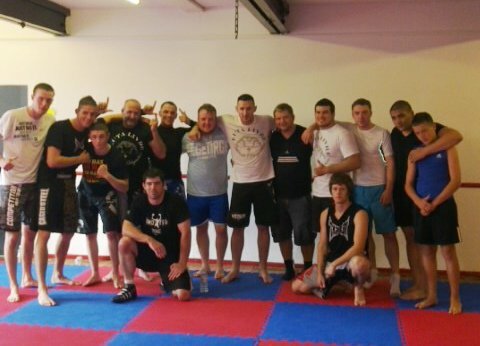 Well done to everybody who involved keep training hard and showing what Luta Livre is all about. OMMAC 7 was billed with some top fighters and match ups and it didn't disappoint, Two titles on the line and alot of local fighters competing. 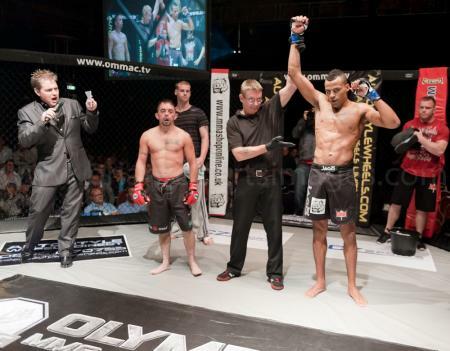 OMMAC 7 saw four Kaobon fighters in action, three fights finished within the first round and one during the second. 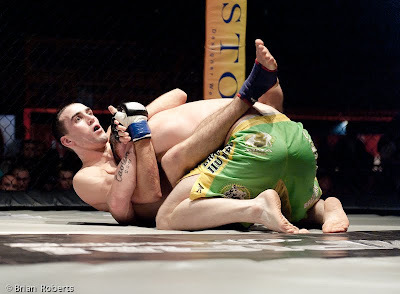 Lightweight Mark Glover fought against 10-15 Martin Begley of Belfast winning via armbar in the second round improving his record to 4-1. Greg Severs won his first Professional fight winning inside the first round way of ground and pound against Swansea independent fighter Craig Allen. Uche Ihiekwe also won impressively improving his record to 2-0 in his professional career with a flying knee in the first Deivydas Rehenbergas. Also impressing was Mark Scanlon improving his record to 7-0 winning within ten seconds with a head kick. Speaking after the show Marcelo said I am very proud of my guy`s performance tonight......We not only won fights, because this any gym can do....we showed everyone what a complete team is......Just a different standard from all the others, this is Kaobon......Well done guys!! The last seminar of the year is to take place at Team Kaobon on the 10th of October, to book your place contact Marcelo on his email marcelobrigadeirorft@gmail.com or if you have facebook leave him a message. Limited places are available so if you are interested in attending and learning some new moves book your place as soon as possible or you could miss out. Don't miss out book your place now! Leeds got another dose of the Luta Livre virus this past weekend their final one before brig returns home in November, learning yet again some more impressive techniques to tap out their opponents. There seems to be no end to the amount of techniques in Marcelo's locker. Thank you to all those who attended keep spreading the virus. 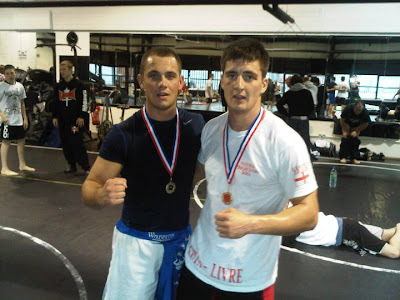 II Luta Livre tournament took place at Team Kaobon on the 19th of September and there was a lot of talent on the mat from many different gyms. Final tournament of the year will be on the 31st of October results are below, well done to all the participants. Leicester was the next place on the map Marcelo visited on the weekend, spreading the virus has become his main goal and as his reputation grows so does Luta Livre as more people want to get in on the act. Leicester shootfighters welcomed Marcelo to there gym looking to take some of his knowledge and turn it into there own knowledge. 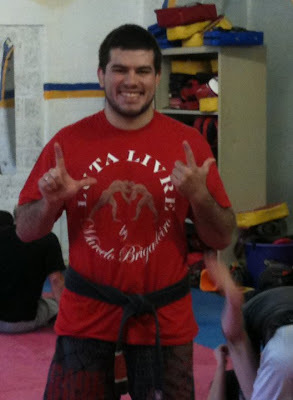 As with all of his seminars Marcelo always tries to show a variation of takedowns, guard passes, sweeps and submissions. 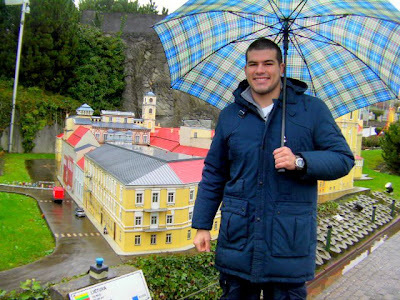 On Sunday Luta Livre went north way north, as Marcelo visited Scotland. The Griphouse in Glasgow was the next gym to get the Luta Livre experience. 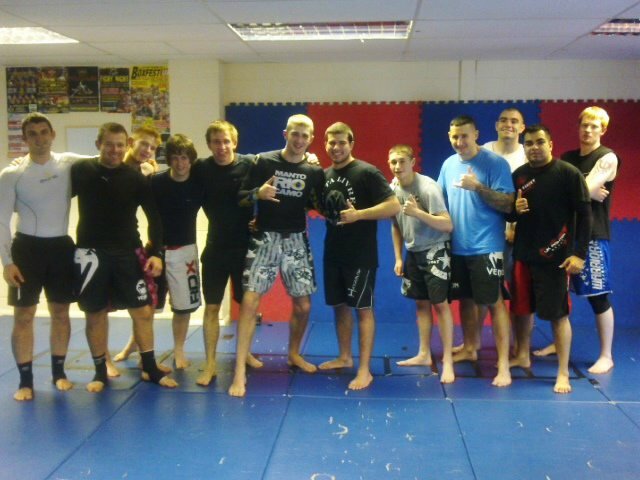 Learning alot of valuable lessons Griphouse gym can now develop there skills and spread the word of Luta Livre further. Marcelo spoke about how he enjoyed his trip to Glasgow and how enthusiastic the students were to learn more. 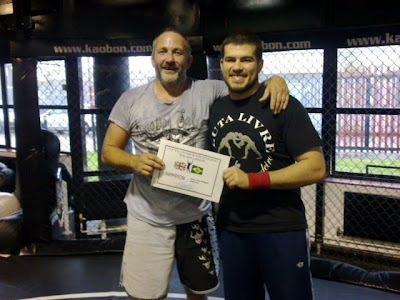 On Saturday Marcelo visited Middlesbrough again a place he had recently been demonstrating Luta Livre in his seminar a month or two earlier, yet again it was Team Redemption that enjoyed his knowledge and the art of Luta Livre which everybody seems to be realising is a Martial Art on the rise. 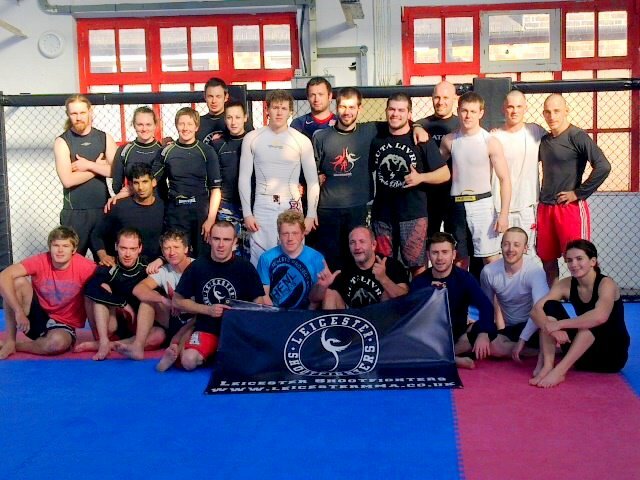 Marcelo then travelled to Doncaster on Sunday to show another team what Luta Livre was about with some great submission offence and defence learned, I am sure Team Asylum and Team Redemption will no doubt be wanting to learn more from Marcelo shortly. 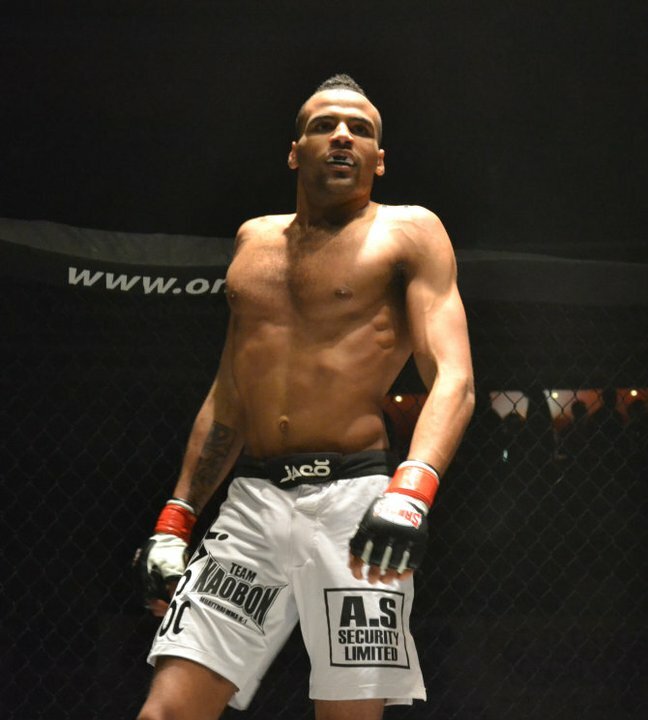 OMMAC returned on Saturday as some of Liverpool's local fighters entertained a good crowd. 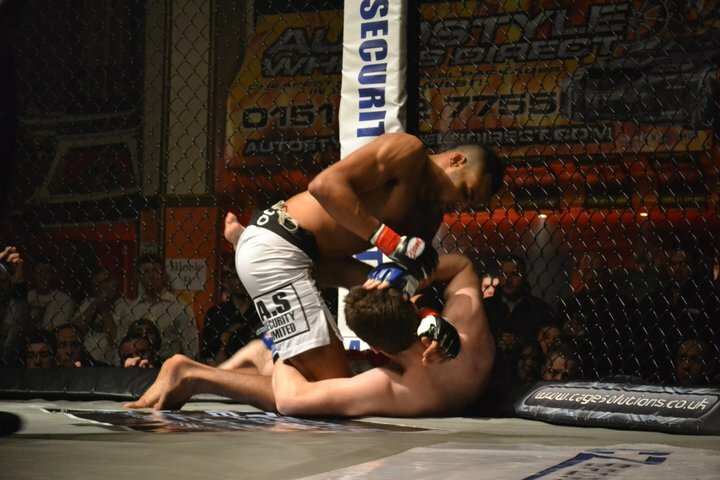 Three Kaobon fighters were in action however, all eyes were on Uche Ihiekwe who was set to feature in his first professional bout and he stepped up to the standard with no problems as he won via armbar in the first minute of the first round defeating Swansea independent fighter Mark Jones. More impressive was the win for Greg Severs (semi pro) who won by Achilles lock also in the first minute of round 1 also against another Swansea independent fighter Jamie Barrett. 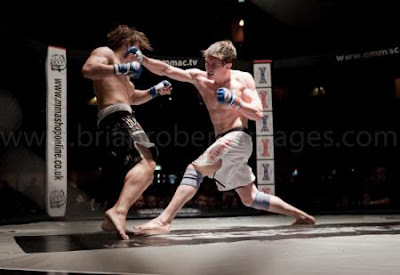 The third fighter to feature for Kaobon was Jay Manning who was set to face a guy who had previously beaten two of Manning team mates in Lee Chadwick & Jay Gladden however, as Manning looked to make sure he wasn't another name on Ronan McKays list of Kaobon fighters but it wasnt to be as he was outclassed by a tough guy and all round fighter. Two titles changed hands in what was a very entertaining night as the fight of the night in most peoples opinions must of been the Featherweight class between two talented fighters in Dave Hill (Elements MMA) and Ashleigh Grimshaw (Team Titan). 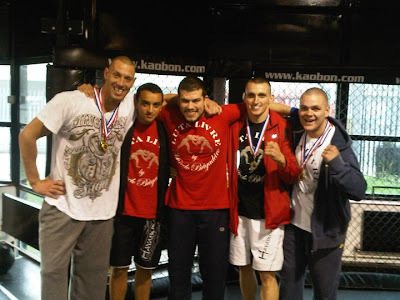 Winner & Osipczak Come To Kaobon! 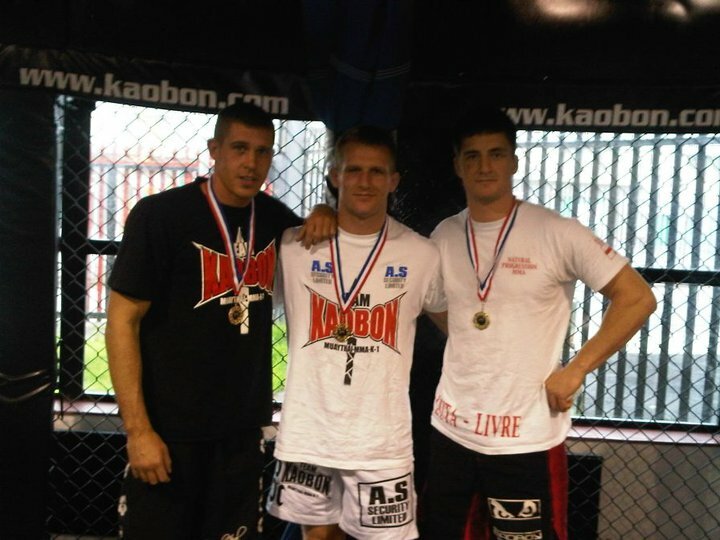 Yesterday Team Kaobon got two visitors in Ultimate Fighter stars Andre Winner & Nick Osipczak as they look to improve their ground game and learn from what Kaobon has to offer.This shows how much Luta Livre & Team Kaobon are getting recognised, through Marcelo's hard work and the fighters impressive record for wins by submissions. 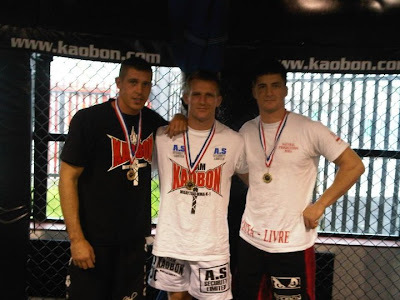 Team Kaobon welcomes both guys and hopes they enjoy there stay. 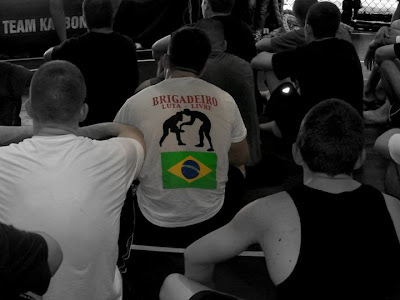 On Sunday another day for the average guy passed by but for Team Kaobon and Marcelo Brigadeiro it was another day for learning and another day to spread the word of Luta Livre. 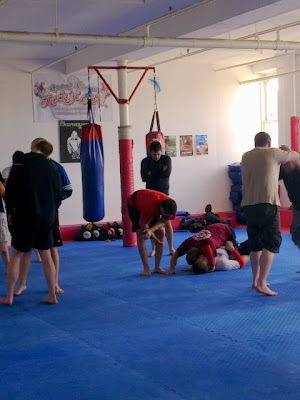 The seminar consisted of some transitions from a takedown to submission some neck cranks, leg locks and some of Brigs special submissions only those who took part were able to witness. 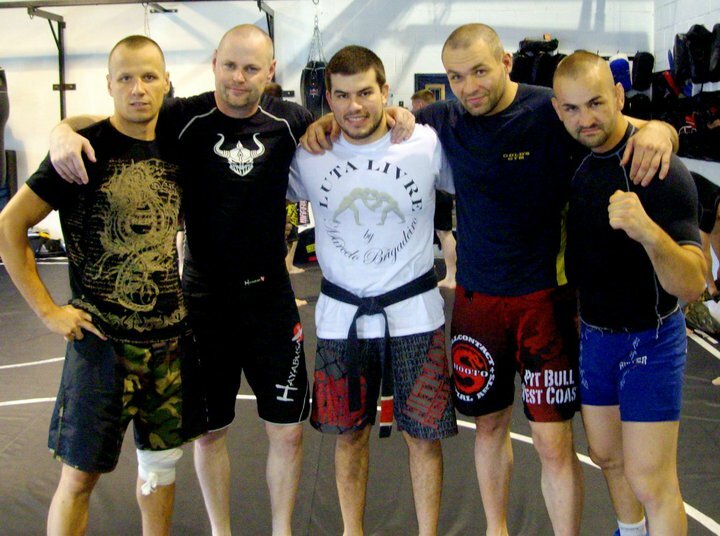 The seminar attracted a few different nationalities ranging from Scottish to Slovakian. 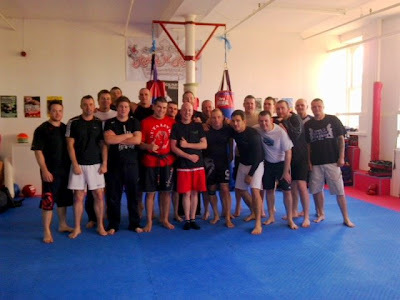 Everybody was happy with the seminar and felt they got some valuable experience. This Sunday another seminar is recorded as Marcelo Brigadeiro continues his historic tour of the world however, this time it is easy no travelling just the place he knows best his gym Kaobon in Liverpool from 13.00 to 16.30. So if your interested in learning a thing or two from a seven time Rio de Janeiro State Champion(the hardest submission tournament in Brazil) with a impressive record of 221-14-2 then get down to team Kaobon. The fee is £20 but I am sure it will be £20 well spent learning some valuable lessons. Please email him at marcelobrigadeirorft@gmail.com as limited places apply. 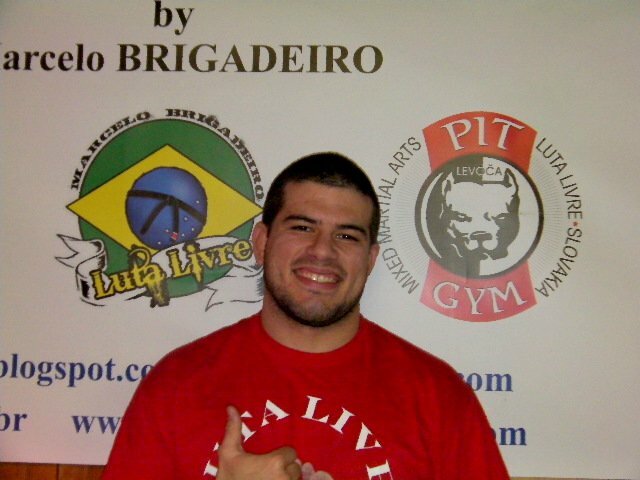 Luta Livre, also know as "Submission Wrestling", has a reported history of over 4,000 years. 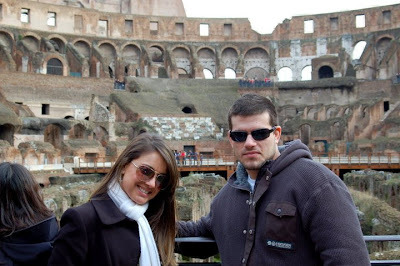 It was a popular form of martial art in China, Greece and Rome in the old ages. 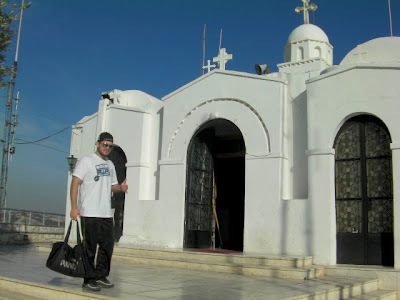 Luta Livre got really famous in the mid 20th Century in Rio de Janeiro when Euclydes Hatem (Tatu) fought and defeated George Gracie in the 40's. 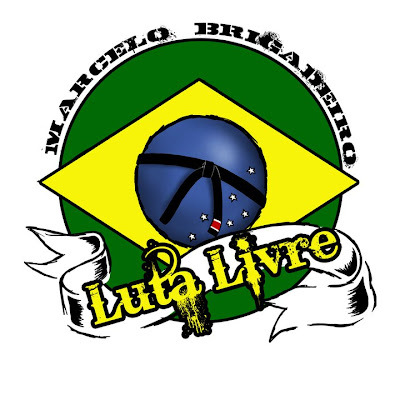 Luta Livre has been introduced in UK by Marcelo Brigadeiro, a Luta Livre Black Belt under Marcio Cromado from RFT Team in Brazil. 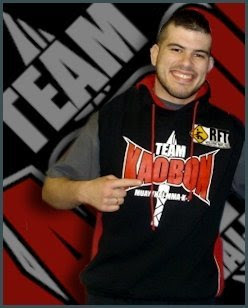 Brigadeiro is based on Team Kaobon.